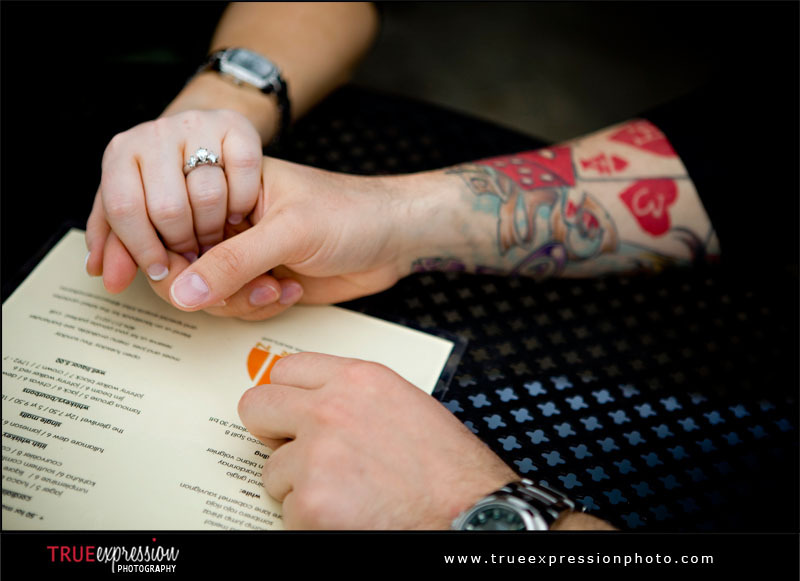 True Expression Photography Blog: Mikey & Mindi: Engaged! 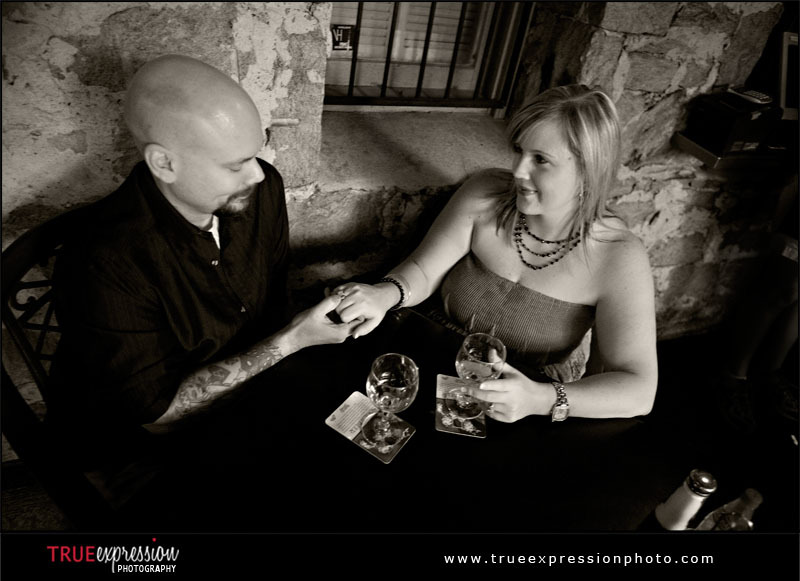 Last week I photographed Mikey and Mindi's engagement session. I had a great time walking around and getting to know the two of them better. 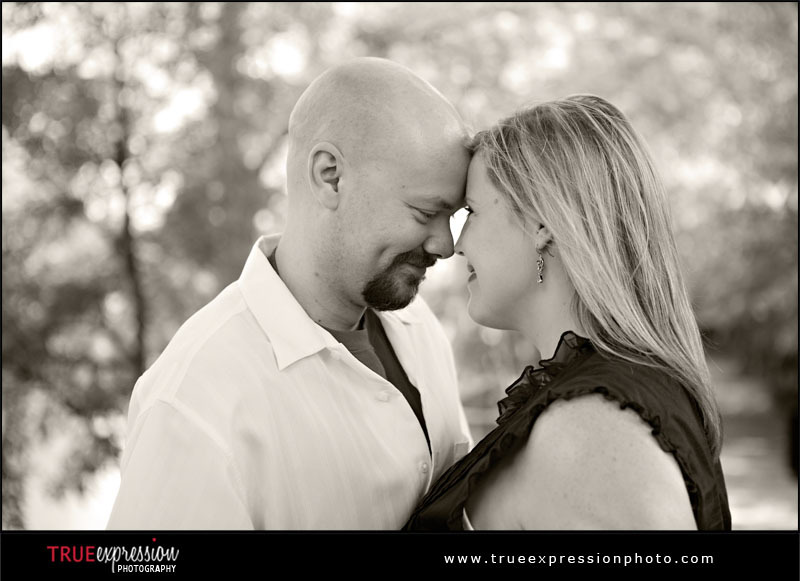 I just love the sweet way Mikey kept looking at Mindi throughout the photo shoot. They make such a great couple. 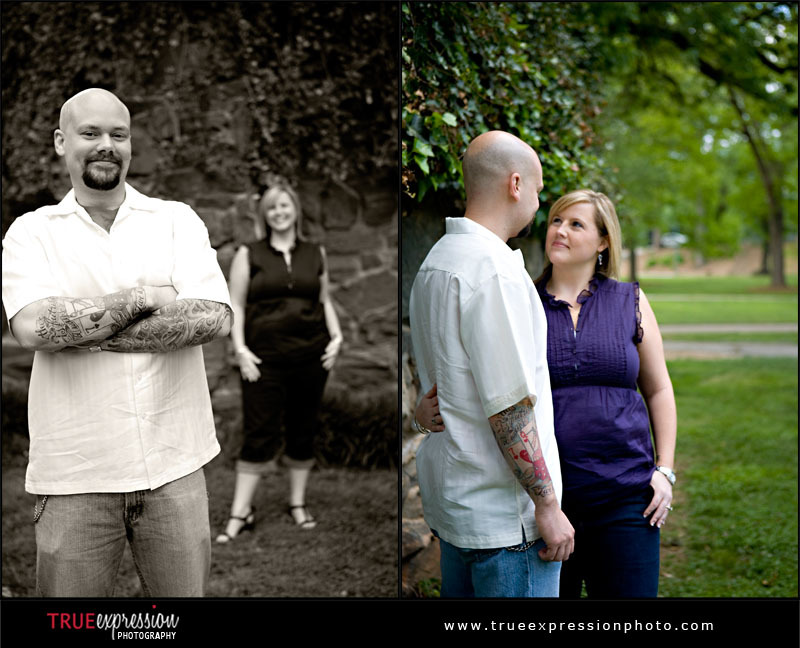 I am really looking forward to photographing their wedding August! 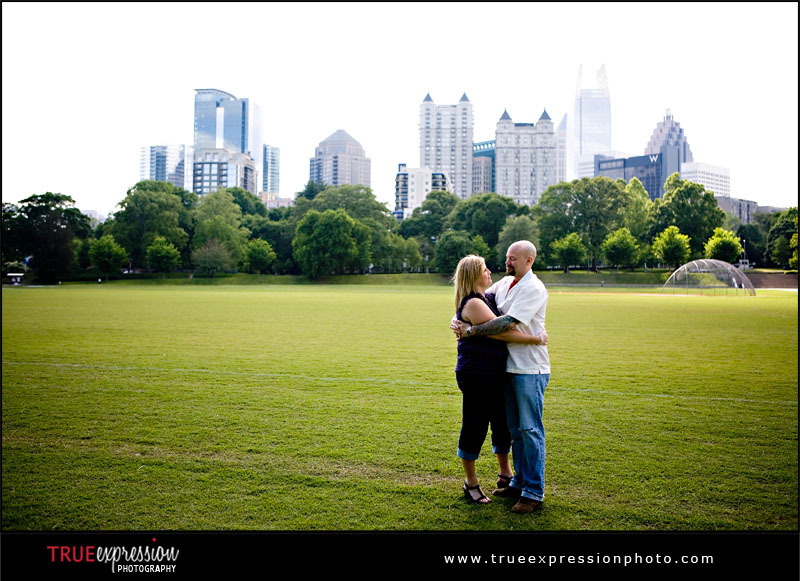 First, we started out at Piedmont Park. Then we walk around the Virginia Highland area. Mikey and Mindi both love drinking wine, so we stopped at Fontaine's for a glass of wine on the balcony. 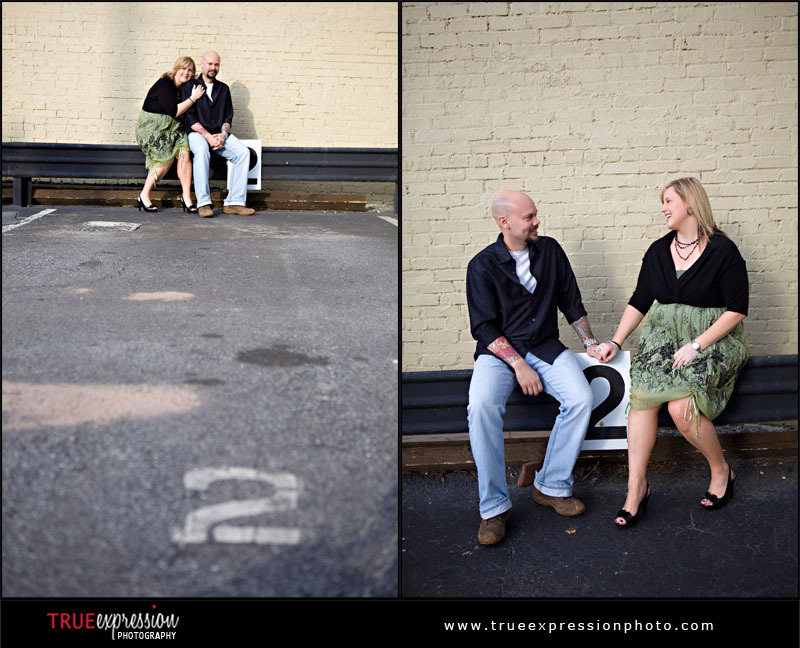 I love the dress Mindi picked for the second half of the shoot. Green looks great on her! Isn't Mindi's engagement ring gorgeous?